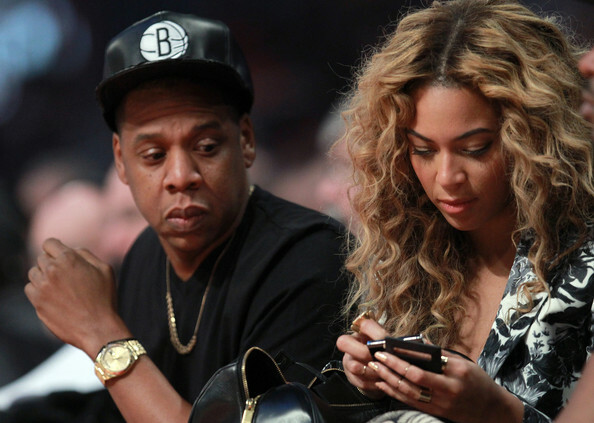 Jay-Z looks over at wife Beyonce during the 2013 NBA All-Star game at the Toyota Center on February 17, 2013 in Houston, Texas. NOTE TO USER: User expressly acknowledges and agrees that, by downloading and or using this photograph, User is consenting to the terms and conditions of the Getty Images License Agreement. Jay-Z showed his support for his hometown team at with a leather Brooklyn Nets hat.